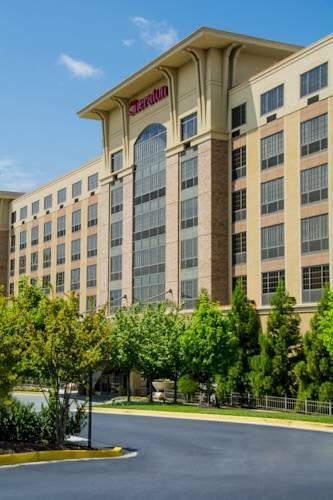 Ideally situated, Sheraton Baltimore Washington Airport Hotel - BWI is an unbeatable destination for business and leisure travel. We're just three miles away from Baltimore/Washington International Thurgood Marshall Airport, and we provide a complimentary shuttle service 24 hours a day, seven days a week. Settle in to contemporary rooms and suites, which offer complimentary Wi-Fi access, spacious work areas with ergonomic chairs, flat-screen TVs and our Sheraton Signature Sleep Experience. Additional amenities include a fully equipped fitness center and a heated indoor pool. Stop in for delectable American dining at Old Line Grill, which serves seafood, cocktails and more in a relaxed ambiance. If you're hosting a meeting nearby, you'll appreciate our versatile conference rooms and comprehensive planning and catering services. If you'd like to explore, our hotel is a short distance from the University of Maryland, Baltimore County (UMBC), as well as Maryland Live! Casino. Old Line Grill: Open for breakfast, lunch and dinner, our casually sophisticated restaurant offers flavorful American fare, including fresh seafood and Baltimore-inspired specialties. Stop in for a meal or a cocktail on your way to or from BWI Airport.